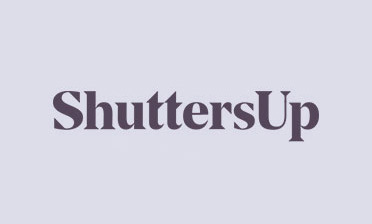 We were asked by a new customer to create and install some shutters for this 2 floor office located in Hackney, London. 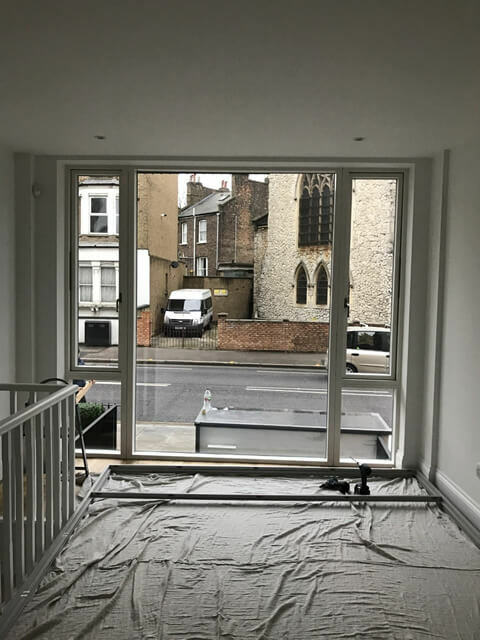 We were fitting window and door shutters to this property which although on different sized windows needed to be of the same style and finish. 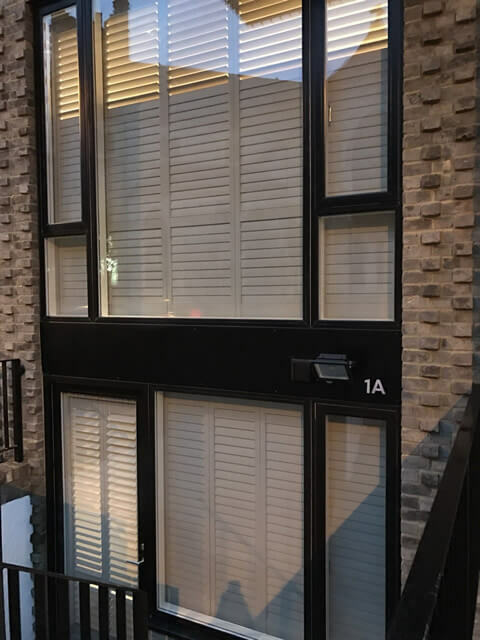 From the street you can see both floors so it was of importance to the owner for them to not only look great from inside, but also create a luxury look to the exterior for passers-by and visitors! 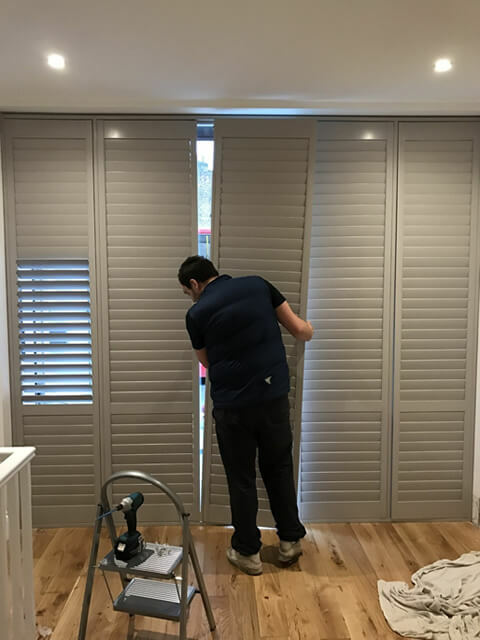 After custom designing the shutters to fit all areas of the office, Luke and Jimmy arrived in Hackney to carry out the installation for the client. 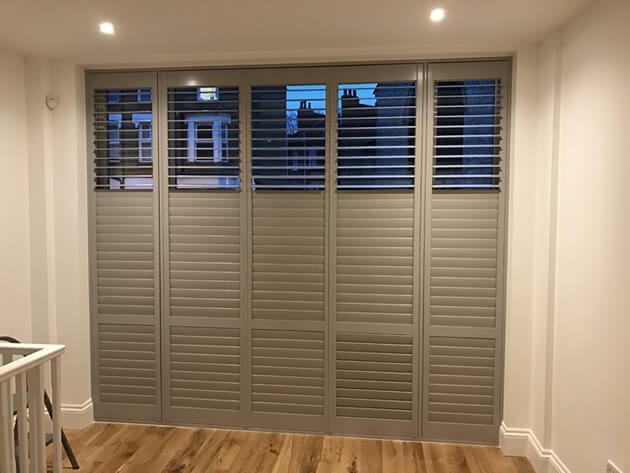 Because all our shutters are bespoke made and installed by our expert installers, we can guarantee the perfect fit every time for any business or home! The installers got to work installing the framing first and then got onto fitting the shutter panels. The shutters were created using our Sumatra Range which is created from FSC certified white teak, one of the world’s finest timbers. 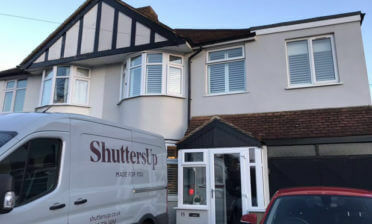 We used 76mm louvres over all shutters with mid rails used on the top floor shutters and bottom floor door and then hidden splits along the top of all shutters. 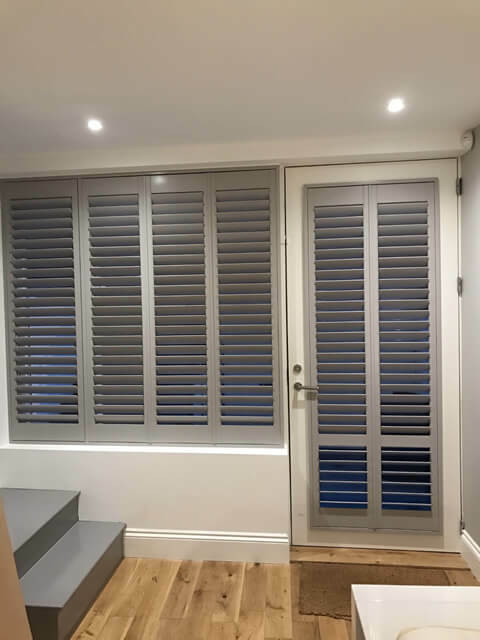 This combination effectively creates 3 sections to the shutters panels which can be adjusted independently while still retaining a clean minimal look. 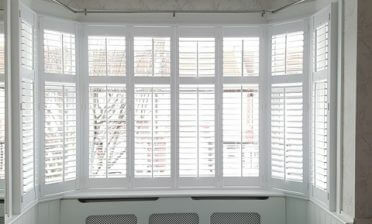 We even used hidden hinges to further complete the look, with all shutters finished in a lovely Sea Mist colour!